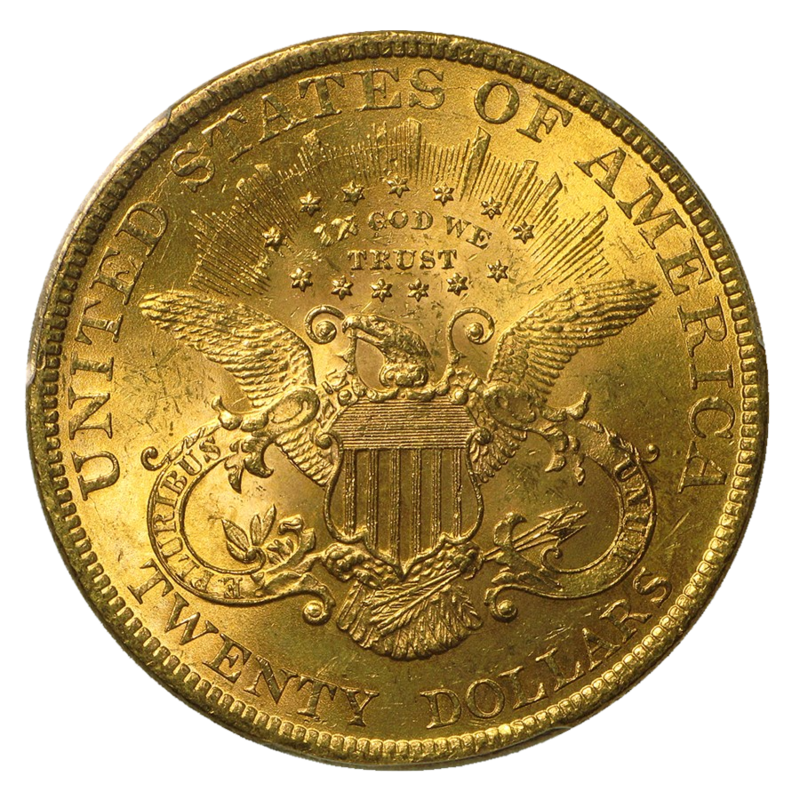 US Mint $20 Liberty Head Double Eagle Gold Coins was designed by embattled Chief Engraver James Barton Longacre. It depicts Liberty in sharp profile, facing left, and wearing a pearl-studded diadem inscribed “Liberty”. The reverse is modeled on the Great Seal of the United States, depicting a heraldic eagle with a shield on its breast beneath a ring of thirteen stars.